I only knew this existed because Scott at NoLifeTilMetal.com reviewed it and I ordered it as soon as I got done reading that review. It was really a no-brainer to pick this one up: I’m a Christmas freak, I’ve liked the only Mass album I’ve heard so far (Sea of Black), it was only $4.99 and most importantly all the proceeds go to Toys For Tots. I’m a sucker for amped up rock versions of Christmas classics and Mass turns in a great performance of “Jingle Bell Rock”. “Grown Up Christmas List” was originally sung by Amy Grant and is one of the corniest, starry-eyed Christmas songs around. It’s just too hokey for me to enjoy but I guess Mass’ version is just as good as anyone else’s. Not really much to say about this. It’s just a fun little novelty single and the money went to a good cause so it all worked out. 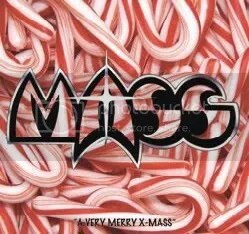 Mass is a band that I am somewhat familiar with if only really by name. I had never heard any of their music until Sea of Black but my perception was that they were probably a religious-themed heavy metal act born in the 1980s. My assumption was a bit off because despite having song titles like “New Birth”, “Holy One”, “Falling From Grace” and using crosses for visual effect they are not necessarily members of the Christian rock scene but a plain ol’ rock/metal band instead that prefers to use uplifting and positive lyrics. Reading up on them, I discovered they were from Massachusetts and it still didn’t hit me until reading even more info about the band that their namesake comes from their home state and has nothing at all to do with the Catholic church (they were originally called Axes though). The band has quite an interesting sound. Judging by Sea of Black, they balance traditional heavy metal with melodic hard rock and ballads much in the way that the ever-changing Riot has done on a number of their albums. One song you get a great thunderous heavy metal number and then the next song is an acoustic based ballad. It’s a little disorienting but I guess it keeps the listener on their toes. The sub-genre jumping isn’t a bad thing at all because Mass does both heavy metal and melodic rock well and singer Louis D’Augusta has the pipes to handle either style with ease. The album seems to be split pretty evenly amongst heavy metal and softer numbers. The ballads and more sentimental moments aren’t bad (my favorite being the up tempo “All The Years Gone”, you can’t help but feel good listening to it) but I have to admit I prefer the heavier, faster numbers because this is where Mass shines, in my opinion. “Falling From Grace” opens the album with a perfect balance of metallic melody bringing to mind late ’80s/early ’90s Riot while the album-closing “Sea Of Black” is a mean piece of traditional heavy metal. “The Right Side” and “Justify” follow along in a similar metal fashion. 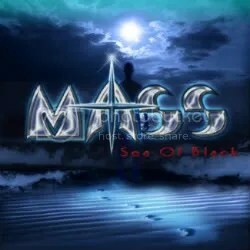 I don’t know where Mass has been all my life but if their previous works are anything like Sea of Black, I’ll be more than happy to find out.